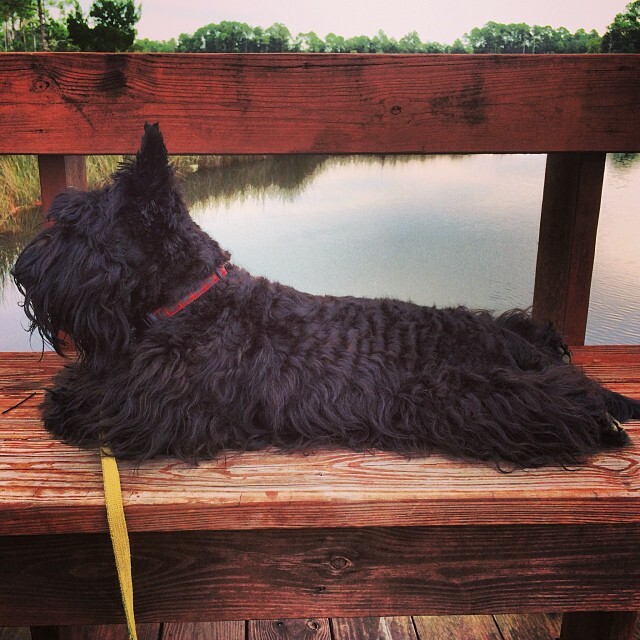 Jack is a Scottish Terrier born in Indiana. He achieved near Rock Star status with the advent of his “Jack’s Tips for Healthy Living,” an occasional posting of his wisdom and humor. Jack lives with his family in Nashville, Tennessee. Despite his fame, Jack remains a humble soul. He’s kind, generous, and fun. He enjoys playing with his friends, Said, Sammie, Turbo, and Sweetie. He loves playing with his little sister, Arya, going to the dog park, agility class, chasing squirrels, watching for cats, and eating treats. Jack has a line of cards other products available through Redbubble. I am a third-generation Scottie person who is thrilled to find Jack! We have a wheaten named Rory, who is not at all humble. He is just sure everyone wants to meet him and hear what he had to say about EVERYthing! So nice to meet you and Rory!!! Sounds like Jack and Rory would get along great!! 🙂 Thank you for taking the time say hello! I am glad to meet Jack! We have a wheaten named Rory, who is not humble at all! Have an English setter that is so dear to me!!! My husband used to say that I would rather he go than Sam the setter. Alas, my husband passed away recently even though I told him that was not true. I thank God that Sam is here with me. I do believe God made dogs to show us to be kind. Love your Jack! We have his “twin”, Charlie. We recently lost our 8 year old wheaten, Tinkerbell. Looking forward to your adventures!